I am George, industrious young man aged 25 years. I like solving problems and improving products. 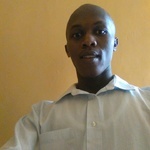 I am a computer enthusiastic with passion in development, testing , implementation...Read moreI am George, industrious young man aged 25 years. I like solving problems and improving products. I am a computer enthusiastic with passion in development, testing , implementation and support.